Stretch out the celebration. Rather than opening a pile of gifts at once, try just one or two at a time for a more low-key approach. Keep it small. Host small get-together visits, stretched out over several days, instead of trying to incorporate someone with dementia into a large, noisy party. Maintain routines. As much as possible, hold fast to the routines that your loved one with dementia is accustomed to. String garlands. Using a long, heavy piece of thread and a darning needle, string cranberries, popcorn, and colorful o-shaped cereal. Hanging the completed garland outside can attract birds and allow the senior the opportunity to watch them enjoy the treats as well. Make paper chains. 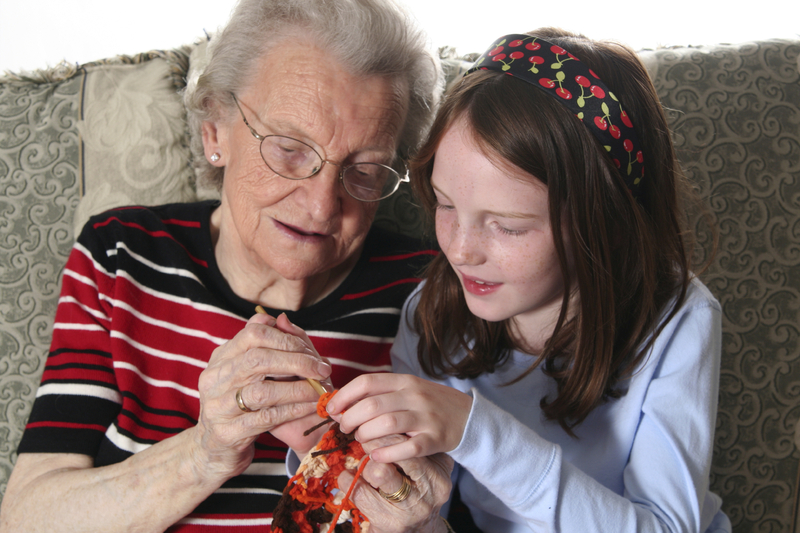 This is a wonderful activity for the senior to work on with an older grandchild. Simply cut strips of brightly colored construction paper, curl around one another, and tape or staple to create a chain. Crack nuts. Provide a large bowl of whole, shelled nuts and an old-fashioned nutcracker, and enjoy the activity with your senior loved one. Most importantly, take time to slow down your pace during the holiday season to match that of your loved one with dementia. He or she will pick up on your sense of calm, which can reduce anxiety and agitation levels. For more tips and ideas on making the holiday season more enjoyable for your beloved seniors with Alzheimer’s or dementia, call us at 866-940-4343. We provide specialized dementia care by thoroughly trained professionals who are experts in communications, problem-solving, and compassionate, hands-on care with dignity and respect. Serving Marin, Sonoma, Napa counties and the Tri-Valley for over 20 years, we’re the senior home care team you can trust to keep your loved one safe and enhance his or her quality of life – during the holidays and throughout the rest of the year. We look forward to serving you!